In the fall of 2012, Deb Coolhart was appointed assistant professor in the Marriage and Family Therapy Department of Falk College after serving as an adjunct instructor in the department since 2008. She has designed and taught graduate courses and supervised the clinical work of master’s students in the Couple and Family Therapy Center. Under her leadership, a Transgender Treatment Team was created and continues to provide services in the Central New York community. Coolhart is a licensed marriage and family therapist, with a private practice in Fayetteville, NY. 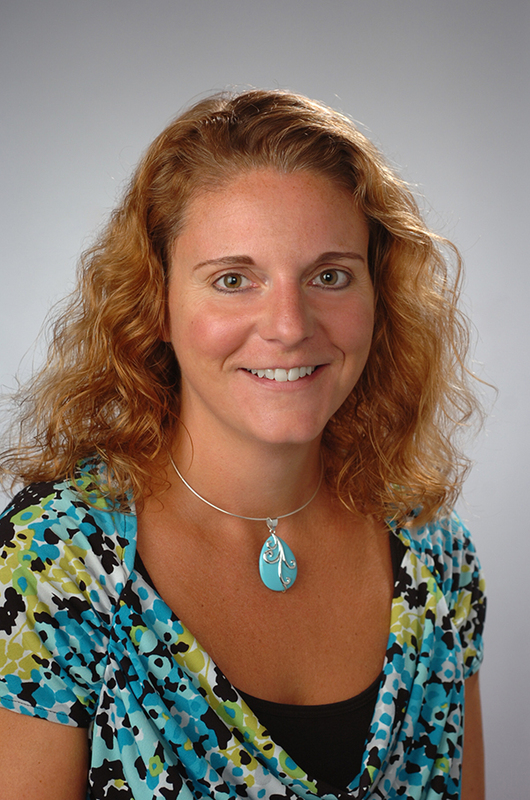 She is a clinical fellow of the American Association of Marriage and Family Therapy and an AAMFT-approved supervisor. Her previous professional experience includes being an assistant professor of community and human services at SUNY’s Empire State College, a research health science specialist at the VA Medical Center in Syracuse, and a co-facilitator and individual therapist for the Gay, Straight and Questioning Youth Group with AIDS Community Resources in Syracuse. Dr. Coolhart’s scholarly interests include clinical issues related to marginalized and queer experiences/relationships and intersectionality, with a particular focus on clinical issues of trans people and their families. Her research and publications have focused on trans youth and their families, trans family support, trans parents and their children, and trans sexuality. Clinically, Dr. Coolhart has been working with trans people for nearly 20 years and has become a nationally recognized expert in the area, providing regular consultation for professionals working with the trans population. Additionally, she is a national speaker regularly presenting on working with LGBTQ youth, their families, and school systems. In 2004, Dr. Coolhart created the Trans Team, housed in SU’s Couple and Family Therapy Center, where students gain specialized training working with trans people and their families, including working with clients regarding their readiness for medical gender transition. Exploring the relationship between gender transition and life satisfaction, family relationships, social support, and mental health. Homeless LGBTQ youth. Emotional Processes of Family Members of Transgender People. Coolhart, D. (2018). Helping Families Move From Distress to Attunement. In C. Meier & D. Ehrendaft’s (Eds. ), The Gender Affirmative Model: A New Approach to Supporting Gender Non-Conforming and Transgender Children. Coolhart, D., Ritenour, K., & Grodzinski, A. (2018). Experiences of loss and ambiguous loss for parents of transgender male youth: A phenomenological exploration. Contemporary Family Therapy. Coolhart, D., & Shipman, D. L. (2017). Working towards family attunement: Family therapy with transgender and gender nonconforming children and adolescents. Psychiatric Clinics of North America, 40, 113-125. Testa, R. J., Coolhart, D., & Peta, J. (2015). The Gender Quest Workbook: A Guide for Teens and Young Adults Exploring Gender Identity. Oakland, CA: New Harbinger. Addison, S., & Coolhart, D. (2015). Expanding the Therapy Paradigm with Queer Couples: A Relational Intersectional Lens. Family Process, 54(3), 434-453. Coolhart, D., Baker, A., Farmer, S., Malaney, M., & Shipman, D. (2013). Therapy with Transsexual Youth and Their Families: A Clinical Tool for Assessing Youth’s Readiness for Gender Transition. Journal of Marital and Family Therapy, 39(2), 223-243.